Based on the hit TV show, join Princess Celestia, Twilight Sparkle and the rest of the magical pony cast on their exciting challenges and adventures. 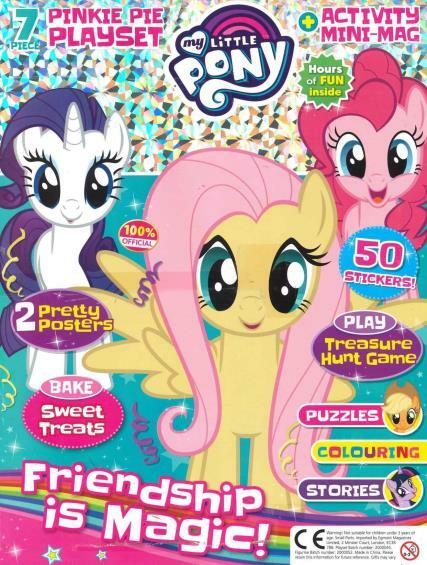 Every issue comes with an exclusive My Little Pony gift on the cover, and is packed with beautiful and entertaining stories, comics, puzzles, games, posters and craft ideas. A must-have for all My Little Pony fans! Gift for grandchild, she looks forward to this dropping through the letterbox. Beautiful as always! Lots of gifts included!!! Granddaughter looks forward to each issue. Kids love it and so do i.